You will be constantly sliding on your factory seats at the corners, or leaning in the opposite direction of the way you're turning. 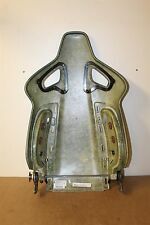 1 pair of racing seat bracket. These seats are also made for using with 4, 5, or 6 point racing seat belt harnesses. Genuine RENAULT SPORT RECARO front down seat fabric cloth. Printed logo RENAULT SPORT and RECARO. A genuine Renault Sport accessory, for the Clio III RS 197 & 200 RS. This is a very high quality orginal accessory from RENAULT SPORT. They can fit into an array of vehicles, but the only thing that might trouble your DIY job is the racing seat bracket that bolts on to the racing seat. Driver Passenger Sides Fully Reclinable Seat Slider Kit. 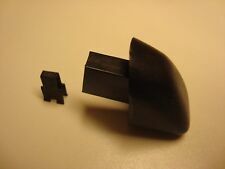 FOR 93-07 SUBARU IMPREZA WRX/STI GC/GD/GG. They can fit into an array of vehicles, but the only thing that might trouble your DIY job is the racing seat bracket that bolts on to the racing seat. 2 x Racing seat brackets. 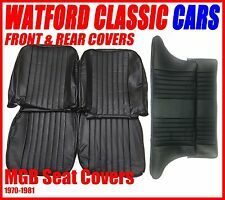 The front seat covers will replace all original type covers on MGB relining seats 1972-1981. 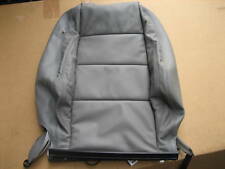 The rear seat covers will replace all rear seats covers on MGB GT all years. We import out covers from the far east, these are made at a fraction of the labour cost of the UK. FIT 99-05 MAZDA MIATA MX-5 NB. They can fit into an array of vehicles, but the only thing that might trouble your DIY job is the racing seat bracket that bolts on to the racing seat. Direct fit most after market racing seat. FIT 90-99 TOYOTA MR2 W20. They can fit into an array of vehicles, but the only thing that might trouble your DIY job is the racing seat bracket that bolts on to the racing seat. Direct fit most after market racing seat. Driver Passenger Sides Fully Reclinable Seat Slider Kit. 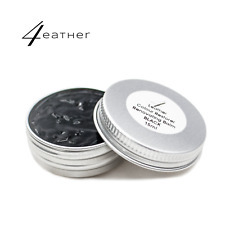 High-performance fully reclinable with carbon fiber look texture style, universal application. 1 x pair of sliders. These seats are also made for using with 4, 5, or 6 point racing seat belt harnesses. PVC Leather Passenger Side Fully Reclinable Racing Seat. Forward & Backward Reclinable. You will be constantly sliding on your factory seats at the corners, or leaning in the opposite direction of the way you're turning. Driver Passenger Sides Fully Reclinable Seat Slider Kit. Forward & Backward Reclinable. They can fit into an array of vehicles, but the only thing that might trouble your DIY job is the racing seat bracket that bolts on to the racing seat. They can fit into an array of vehicles, but the only thing that might trouble your DIY job is the racing seat bracket that bolts on to the racing seat. You will be constantly sliding on your factory seats at the corners, or leaning in the opposite direction of the way you're turning. You will be constantly sliding on your factory seats at the corners, or leaning in the opposite direction of the way you're turning. 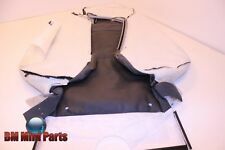 Built-in seat belt harness holes, perfect to use with 4, 5, or 6 point seat belt harnesses. Woven Fabric Left Right Full Reclinable Racing Seat. Forward & Backward Reclinable. Style Reclinable Bucket Seat. They can fit into an array of vehicles, but the only thing that might trouble your DIY job is the racing seat bracket that bolts on to the racing seat. They can fit into an array of vehicles, but the only thing that might trouble your DIY job is the racing seat bracket that bolts on to the racing seat. Mild Steel Racing Seat Bracket fits T230/T231 1ZZ/2ZZ. We do have a lot of parts for almost every BMW model. Feel free to ask for any other BMW car parts, we are always happy to help. Genuine used BMW part. neutral or. We will ALWAYS try our best to help. They can fit into an array of vehicles, but the only thing that might trouble your DIY job is the racing seat bracket that bolts on to the racing seat. Tensile Steel Racing Low Mount Seat Bracket for NA MX-5. 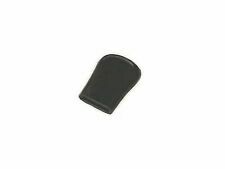 FRONT BUCKET SPORTS SEAT BACKREST COVER. TT 2007-10 MODEL YEARS (8J) WITH PR NUMBER - Q4P. IN SOUL BLACK FINE NAPPA LEATHER TRIM: 25D. PARTS DEPOT - GENUINE PARTS WITH GENUINE SAVINGS! Application is to be used as a guide only. They can fit into an array of vehicles, but the only thing that might trouble your DIY job is the racing seat bracket that bolts on to the racing seat. Pair Test-Fitted Tensile Low Mount Racing Seat Bracket. Forward & Backward Reclinable. They can fit into an array of vehicles, but the only thing that might trouble your DIY job is the racing seat bracket that bolts on to the racing seat. Type F1 Racing Design. Driver Passenger Sides Fully Reclinable Seat Slider Kit. Forward & Backward Reclinable. You will be constantly sliding on your factory seats at the corners, or leaning in the opposite direction of the way you're turning. Forward & Backward Reclinable. NRG Racing Seats They can fit into an array of vehicles, but the only thing that might trouble your DIY job is the racing seat bracket that bolts on to the racing seat. EXMOOR TRIM. Exmoor Trim now produce a range of Series II and IIA seating that is simply as good as it gets. Available for viewing at The Exmoor Trim Fitting Centre . Exmoor Trim is an Independent supplier and producer of seats, hoods, canvas seat covers & all accessories for the Land Rover vehicles. PVC Leather Left Right Full Reclinable Racing Seat. Forward & Backward Reclinable. Style Reclinable Bucket Seat. They can fit into an array of vehicles, but the only thing that might trouble your DIY job is the racing seat bracket that bolts on to the racing seat. Alcantara / Blue Shadow / Anthracite - ANAT. We do have a lot of parts for almost every BMW model. Feel free to ask for any other BMW car parts, we are always happy to help. Genuine used BMW part. neutral or. PART NUMBER:DA2148. DEFENDER 2007 ONWARDS MODELS. 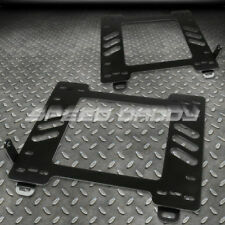 - GIVE YOUR DEFENDER SEATS 3" OF EXTRA SLIDE WITH A PAIR OF THESE SEAT RAILS. DEFENDER MODELS. - IDEAL FOR THE TALLER DRIVER THE RAILS WILL GIVE YOU A MORE PRACTICAL AND COMFORTABLE DRIVING POSITION. Part removed from: BMW MINI R56, Cooper, Coupe, N12, EUR Right hand drive N. We do have a lot of parts for almost every BMW model. Feel free to ask for any other BMW car parts, we are always happy to help. 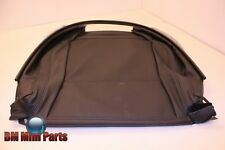 MGB MARK I FRONT SEAT COVER KIT LEATHER FACED (PAIR). Matching rear seat covers are available on request as well as Full Trim Panel Sets and Carpets Sets both tailor fit and moulded. Made in a selection of colour options to original MG Leather faced ,half carpeted rear specification. This is a front seat cover for the Abarth 500 Tributo Ferrari special edition. · Genuine Abarth item. · 12 Months Warranty. Force Majeure. Genuine RENAULT SPORT RECARO front down seat fabric cloth. Printed logo RENAULT SPORT and RECARO. 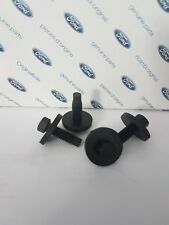 fits to CLIO III RS 197/200. A genuine Renault Sport accessory for the Clio RS. This is a very high quality orginal accessory from RENAULT SPORT. Part Number: 31467243 / 6815717. Volvo XC60 (2012 onwards) - All Models. UK MAINLAND. Renault Car. Composition : Bucket 2Seat Parking Brake Cover 1Pcs. Parking Brake Cover (16cm x 12cm). Soft Cushion. 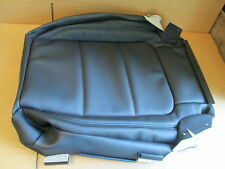 Size : Buket Seat (Head 32cm x 27cm, Back 74cm x 54cm, Seat 65cm x 52cm). This product is not compatible with the compact car. Forward & Backward Reclinable. They can fit into an array of vehicles, but the only thing that might trouble your DIY job is the racing seat bracket that bolts on to the racing seat. Pair Racing Seat Test-Fitted Tensile Low Mount Bracket. MGB & MGC 1969 - Seat Re-Build Kit - RIGHT. Suitable For:- All MGB & MGC models 1969. 1 x AHA7878 - Diaphragm / Webbing. 1 x AHH9970 - RIGHT Foam Base. 1 x AHH9681 - Back Foam. Need the LEFT too??. 1 x SBB3002 - Back Board. They can fit into an array of vehicles, but the only thing that might trouble your DIY job is the racing seat bracket that bolts on to the racing seat. Direct fit most after market racing seat. 1 x pair of racing seat brackets. Part Number: 39827333. Volvo XC60 (2012 onwards) - All Models. Genuine RENAULT SPORT RECARO front upper seat fabric cloth. Printed logo RENAULT SPORT and RECARO. This is a very high quality orginal accessory from RENAULT SPORT. side : left seat and right seat. seam on the seat : yellow or blue/white.